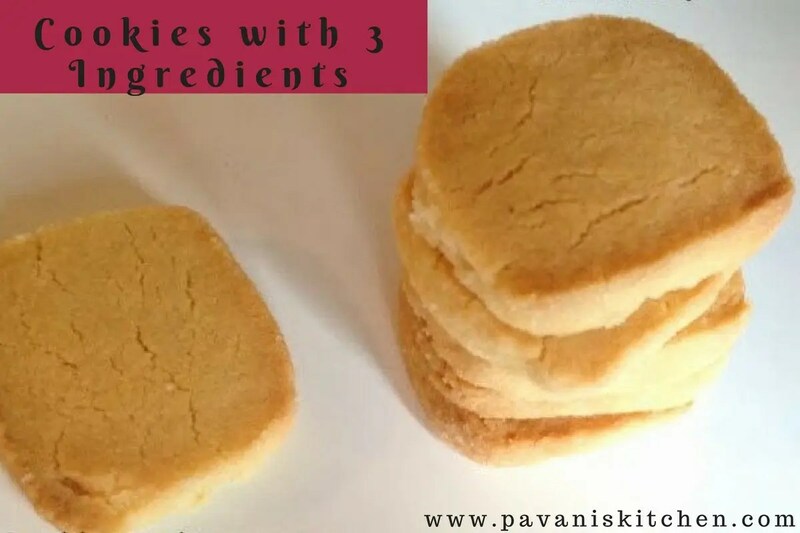 Today, I am sharing a very easy and simple cookie recipe with just 3 ingredients. I have seen this recipe somewhere and bookmarked it a long time ago. Suddenly yesterday when I was searching for something I found this recipe and I made them immediately. They came out very delicious and my kids loved it very much, now only half of the box of cookies are left. 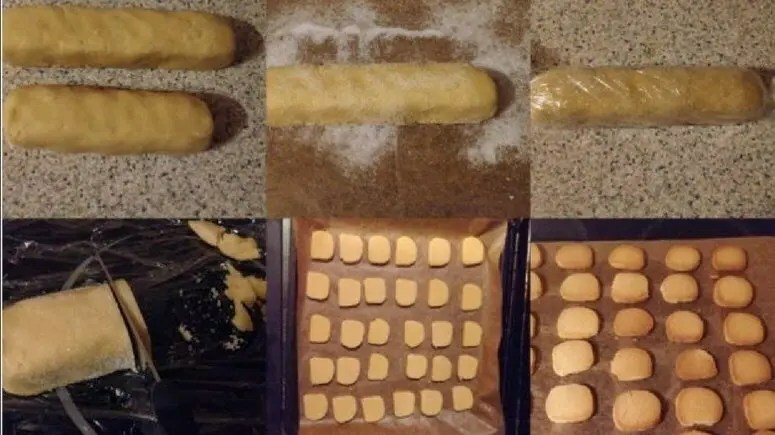 So I thought of sharing this recipe with all of you. Here goes the recipe. 1. Take a bowl, add butter and sugar. Then use an electric whisk to beat the mixture until it is smooth and well combined. 2. Add the flour and mix until resembles crumb texture. 3. Place the mixture on the worktop and mix with hands until it forms into the dough. 4. Shape the dough into a long rectangle. 5. Sprinkle regular sugar on a baking paper and roll the dough in the sugar. 6. Cover it with clingfilm and refrigerate about 30 minutes until firm to cut. 7. After 30 minutes, remove the cover and slice the pieces equally. 8. Place them on a baking sheet and bake at 180C for 15 minutes until lightly golden. 9. 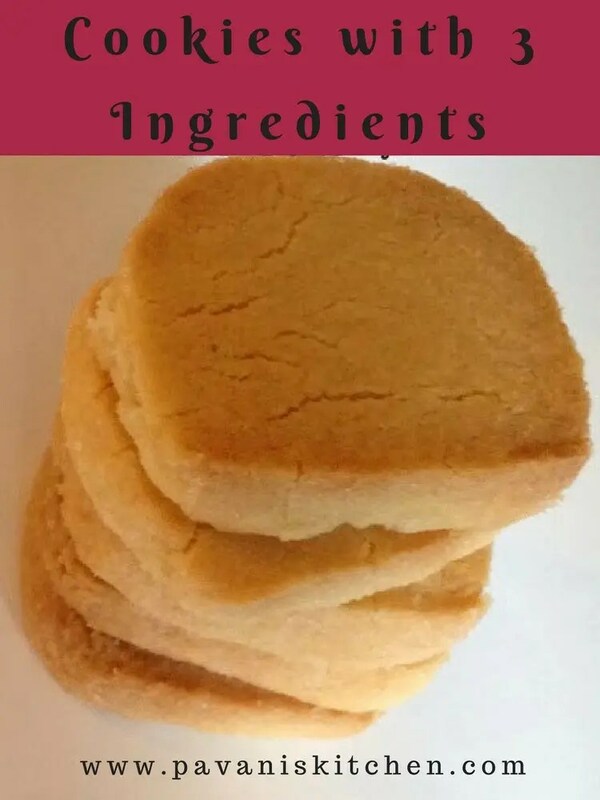 Enjoy these Cookies with 3 Ingredients with tea or coffee. Store them in an airtight container and eat within a week. Take a bowl, add butter and sugar. Then use an electric whisk to beat the mixture until it is smooth and well combined. Add the flour and mix until resembles crumb texture. Place the mixture on the worktop and mix with hands until it forms into the dough. Shape the dough into a long rectangle. Sprinkle regular sugar on a baking paper and roll the dough in sugar. Cover it with clingfilm and refrigerate about 30 minutes until firm to cut. After 30 minutes remove the cover and slice the pieces equally. Place them on a baking sheet and bake at 180C for 15 minutes until lightly golden. Excellent and lovely looking cookies.